…I married my best friend. For better, for worse…love never ending. Many of you know our story and many of you do not. So, in honor of our 10th today, I will head back to the VERY beginning. I did a search for people who lived in Victoria, and your screen name popped out at me, so I thought I’d drop you a line. I am 20 yrs. old, I’m 6’1″, and 185 lbs. I have short brown hair, brown eyes, an a medium build. Are you attending U of H or VC? I’m taking classes at night right now at VC, because I work through the day, and hopefully, I’ll have my associates degree after I take my last class next semester. I know that getting an e-mai out of the blue from someone you don’t know is a little weird, but hey, why not? Like you said, life is too short. Yes, we met on the internet. At the time, I was dating someone else but we chatted on yahoo messenger occasonally. On January 5, 1999, I broke up with the other guy and Bryan got brave enough to ask me out. You could say the rest is history. 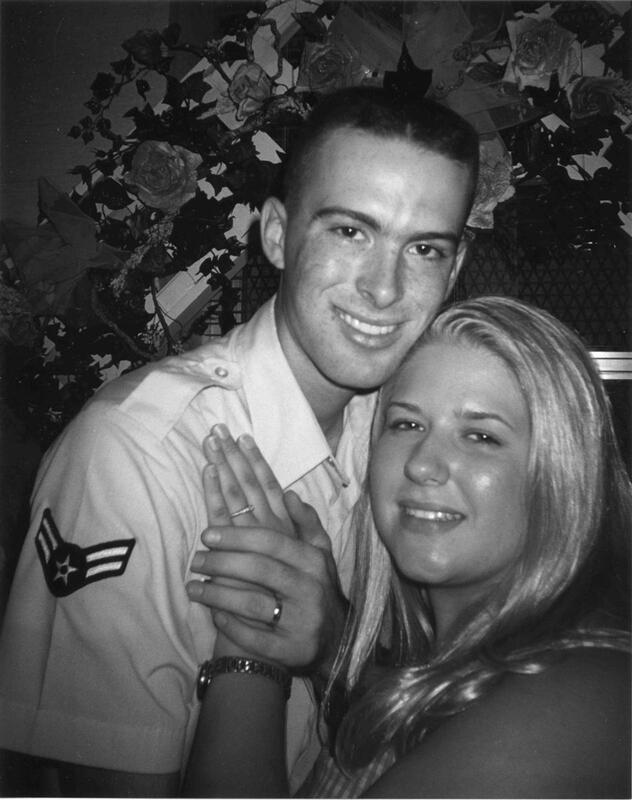 He left for basic on April 28, 1999, proposed during basic graduation weekend on July 4, 1999 and we were married July 31, 1999. Many family members didnt think we would make it 6 months, but here we are 10 years later. No, it hasn’t always been easy and we continue to have days where it isn’t, but our love and faith in each other always pulls us through. I simply cannot imagine my life without Bryan, nor do I want to. That brings back awesome memories! awwwwwwwwwwwww that is so sweet!!! that is just beautiful…10 years is a wonderful achievement…it sure look like lasting love from where I sit. Congratulations and many more wonderful years together.